Your Shopping List is one of the the main weapons you have in your meal planning arsenal. If you do not have the key ingredients for a dish, most likely you will veer off your plan or order out. My shopping list is an entirely different than my ingredients list, it is made after I have made me meal plan. I make my ingredients list while making a meal plan (See my other blog post for how to prepare a Meal Plan). You may think making a separate list is a waste of time, but the extra 5 minutes I take to organize my list has saved me time, money, and stress EVERY TIME. Make Your List By Where It Is In The Store. 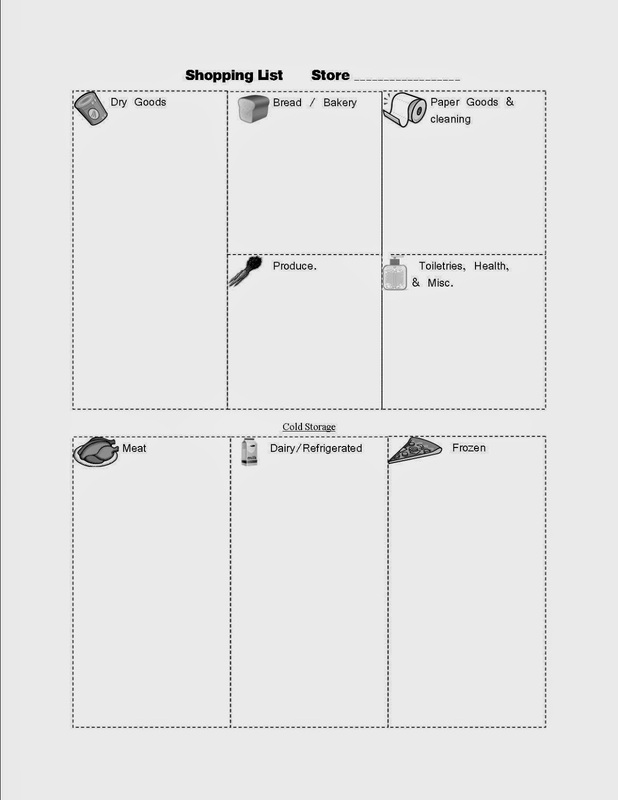 After I have already made my meal plan based on the food I already have in my house, I start my shopping list.I print out two lists, one for Aldi's and one for either Sam's or Meijer. See below for what I buy at each store. The list is organized by where I will find it in the store"
For Free Printable , Click here. To be honest, there are months I get everything from Aldi’s and the next month I do all my shopping at Meijer. But no matter where I shop, I save money by having a shopping list that works for me. Aldi’s- This isn't your mother's Aldi's! 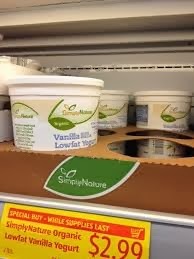 Aldi's has caught onto the health food craze with their lower fat, locally grown, and organic food lines. Don't forget your quarter and your bags! Meijer- Meijer is where I get most of my produce, sadly our Adli's just does not have a great selection. My husband is also particular about coffee, so we usually get our coffee at Meijer. Meijer MPerks gives savings back to one stop shopping. I wish that every month I had the time to go to the store with the best deals, but that isn't realistic. Sometimes I need my Rx, bread, milk, and toilet paper all in one stop. No app needed, which is great for me since I do not have smart phone. Just use your cell number as a login and clip items online at home BEFORE you go to the store. Sam's. Sam's is my go to for meat, name brand toiletries, office supplies, and paper products. Buying in Bulk can be tricky, and sometime not possible if you are keeping to Dave Rasmey's cash envelope System. We used to use Sam's exclusively for diapers, and with twin infants it saved us a ton of money. Now you have your list, STICK TO IT and you will do well! Good Luck!